We are pleased to announce the annual call for proposals for the ACIC Member Southern Speakers Symposium Fund. This Fund provides opportunities for Southern partners to dialogue with Atlantic Canadians on issues and demonstrate impact of efforts in international cooperation. The Southern Speakers Symposium Fund will support the participation of an international guest to the region to speak at ACIC’s annual symposium from June 15-17th, 2017 in Sackville, NB. Please see the Guidelines here and Application Form here. The theme of this year’s symposium “Common Concern: Standing Together as Global Citizens” will enable us to reflect on the seismic shift in recent times of the global political landscape - evidenced in the election of a demagogue to the most important political position in the world, volatile referenda and electoral results in Europe, and racist, war-mongering, misogynist and anti-planet discourse, including here in Canada. Together we will explore what role Atlantic Canadians engaged in promoting social justice locally and globally can play in countering these forces that threaten the values of global citizenship - human rights, democratic participation, rule of law, public deliberation based on dialogue and access to accurate information, and environmental sustainability. In a world where civic space is also closing or shrinking in many developing countries, affecting partners with whom we work, we want to learn from and share with Southern partners. What approaches have they taken to respond to these pressures? What effect will the current climate have on their work going forward? How might Canadian civil society organizations respond? ACIC member applicants are encouraged to consider how the individual’s background and area of work pertain to the overall theme of the symposium. Please note, however, that there are many intersecting issues arising from the theme that we have chosen which will attract broad-based participation as well as a spectrum of contributing expertise. Up to $3000 is available to help cover travel costs associated with having the Southern partner visit Atlantic Canada. Consideration will also be given to the value added to the ACIC member’s work or additional public engagement opportunities that may exist in conjunction with the speaker’s participation in the ACIC symposium. Proposals must be submitted by an ACIC regular member (organizations and institutions, not individuals). ACIC accepts funding proposals from members in good standing – payment of membership dues must be up to date. Applicants must not have any outstanding final reports still to submit from previous (excluding current) ACIC-funded projects. Deadline extended: All proposals must be received by 4 pm (AST) March 30th, 2016. A selection committee will review all proposals after the deadline and results will be announced by early April 2017. Completed applications may be sent to carolyn@acic-caci.org . As part of International Development Week we're excited to have Sally Armstrong and Masuma Khan speak about issues related to gender equity and violence against women. Save the date! Listed below is the plethora of opportunities for ACIC Members and Atlantic Canadians. As dates are confirmed they will be updated on this calendar (for pdf version click HERE). Check back often! ACIC is pleased to announce the recipients of the Members Public Engagement Fund! This project will bring the new Canadian documentary, Migrant Dreams, to 5 community in the Maritimes between October 20th and the 24th. The film will be accompanied by a representative of Cooper Institute, and a guest speaker from Justice for Migrant Workers. Each event offers an opportunity to collaborate in the region with local groups and activists, to strengthen existing networks, and lead to future collaboration and solidarity actions. October 24, 6pm: O'Leary United Church. 5 Barclay Rd, O'leary PEI. The documentary, by award-winning filmmaker Min Sook Lee, follows women migrant workers in Canadian agriculture struggling for permanent residency status and decent working conditions and rights. Tzaznà Miranda of Justice for Migrant Workers - Ontario will be present for the film screenings. This year marks the 50th anniversary of Canada's Seasonal Agricultural Worker Program, and groups across Canada have been calling for increased rights for migrant workers - including the right to status in Canada. As part of this national action, Cooper Institute and other local groups are organizing a Maritime film tour to build awareness of this issue and to foster collaborative networks to address migrant worker issues as they are manifesting in our rural and urban communities. Each film screening will be accompanied by presentations and discussion with Tzazna Miranda Leal, of Justicia for Migrant Workers (Ontario), and Josie Baker, of Cooper Institute (PEI). Both groups are founding members of the Coalition for Migrant Worker Rights Canada. All screenings are free of charge. This project was made possible with support of the Atlantic Council for International Collaboration. Additional collaborating organizations include: Maritime Conference - United Church of Canada, Breaking the Silence - Maritimes-Guatemala Solidarity Network, KAIROS, National Farmers Union - New Brunswick, No One is Illegal Fredericton, Fredericton District Labour Council, UFCW, and more. Your chance to win great prizes by exploring culture through photography! Snap a photo that explores the cultural traditions in your family, school, or community. Tell us your photo’s story in a 200-word caption and submit online for your chance to win! New category for adult ESL participants! PRIZES could include iPads, gift cards, and more! This project aims to involve and engage more Frederictonians and New Brunswickers, especially children and youth in the First Nations and Newcomers (Permanent Residents and Citizens) communities in important conversations around international development issues and subjects. Engaging Children and Youth in dialogues around International Development is Building Bridges for all the members of our human family and it is the most effective way to keep Canada relevant with the 2030 – United Nations' Sustainable Development Goals‎. The first-ever 5 Days for the Forest will occur in Fredericton during National Forest Week (Sept. 19-24, 2016). The forest festival will celebrate our diverse mixed-wood forest, wildlife and flora. The events will foster an appreciation of New Brunswick’s forest biodiversity in an effort to ensure its conservation. The purpose of the ACIC Member Public Engagement Fund is to support good practice and innovative methods of engaging Atlantic Canadians in global development issues. Although the results of a 2012 public opinion poll (ICN/Vision Critical) revealed that one third of all Canadians polled ranked global poverty as a top concern, 43% felt unaffected personally by global poverty. 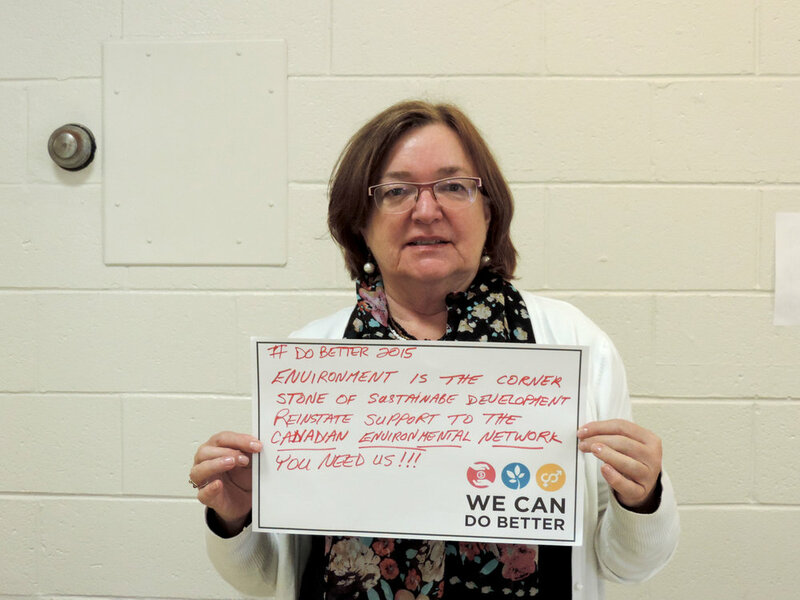 This disconnect indicates a need for the international development cooperation sector to develop a stronger, more effective narrative to engage Canadians on the interconnectedness of the issues surrounding global poverty. ACIC members play an important role in transforming the ways in which the public understands and engages in these issues within Atlantic Canada. On behalf of the Minister for International Development and the Francophonie, Global Affairs Canada consulted with Canadian and international stakeholders to strengthen and renew its international assistance policy, funding, and delivery framework. 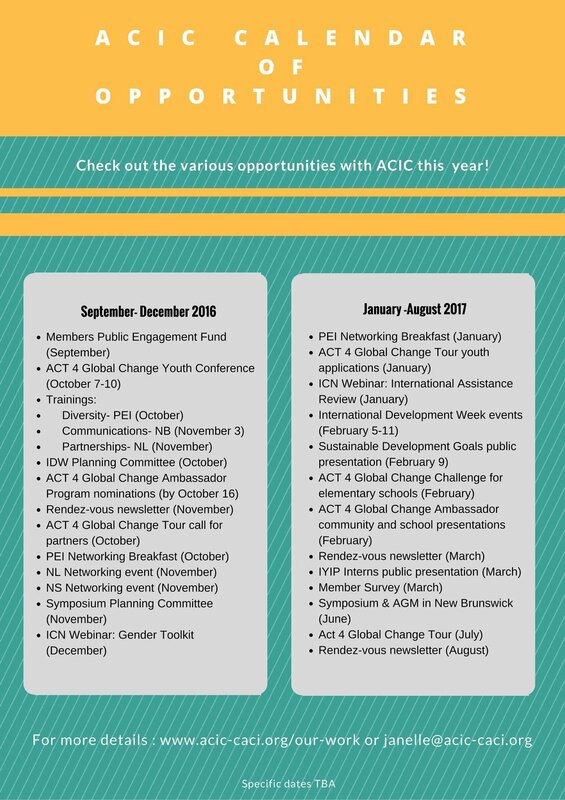 The summer of 2016, ACIC convened our members and other stakeholders to gather input to the process. After hosting an in-person consultation in Halifax and an online consultation for those unable to travel, we have submitted this document to Minister Bibeau. On September 25, 2015 the UN adopted the Sustainable Development Goals (SDGs), an ambitious and transformative global agenda to end poverty, fight inequality & tackle climate change over the next 15 years. Check out the Global Goals website for more info too. Our very own Stephanie McAnany traveled to the UN Summit as part of a youth delegation from Canada. Read about her reflections HERE. You can also learn more from this video of Shannon Kindornay talking about the Global Goals from this past event (below) and the slideshow of her SDGs workshop found HERE. ACIC has signed on to this commitment. Will you? The new Sustainable Development Goals (SDGs) that will replace the Millennium Development Goals (MDGs) will challenge the world to do better on urgent global issues. World leaders will forge a universal, legally-binding climate deal that must be strong enough to avert global environmental catastrophe. On its 20th birthday, the Beijing Declaration and Platform for Action on Women's Rights will be reviewed and governments will be called upon to recommit to its full implementation. Canadians will go to the polls in a crucial federal election. Join this call to action for better leadership by Canada on these key issues! 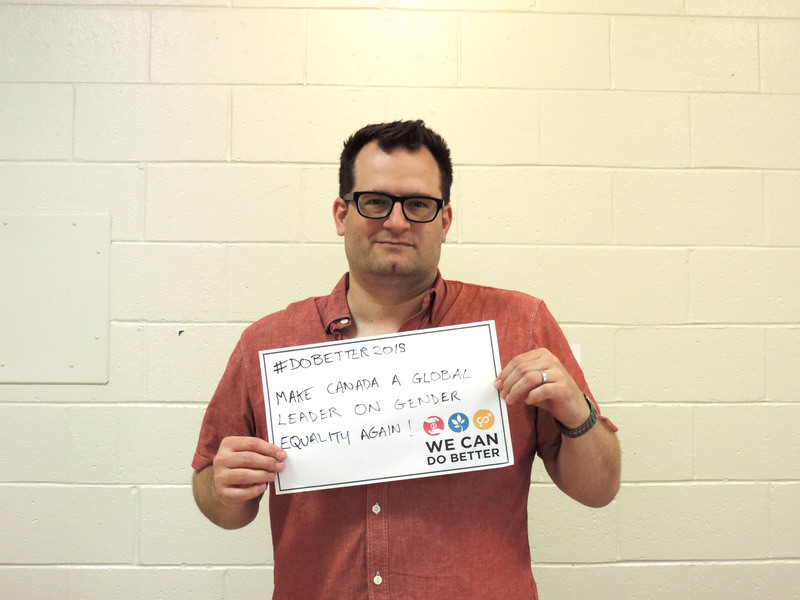 Find out how to get involved here: http://wecandobetter2015.ca/. Find more on Facebook and on Twitter. 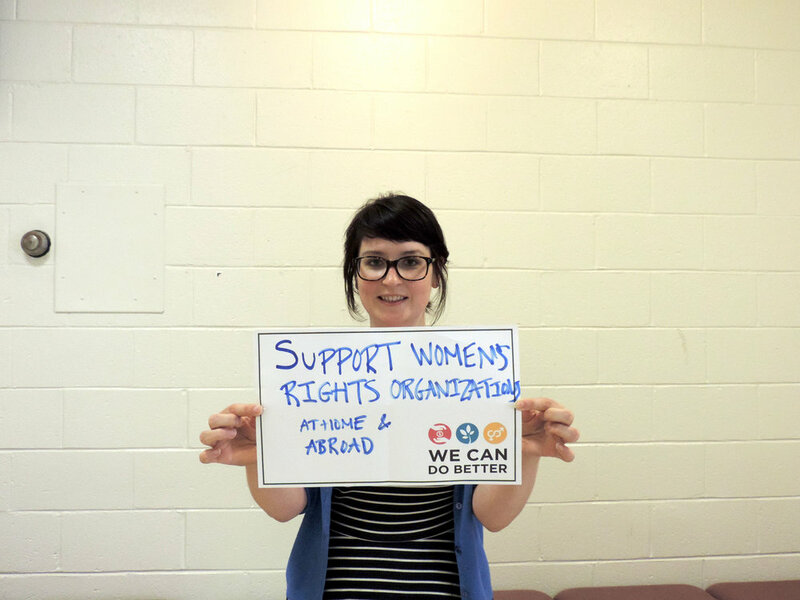 In Atlantic Canada and around the world, men and women are using microcredit to build a better future. During the fall of 2006, the Atlantic Council for International Cooperation (ACIC) hosted a series of free public workshops and speaking engagements on the impact of microcredit across Atlantic Canada. To most, microfinance means providing very poor families with very small loans (microcredit) to help them engage in productive activities or grow their tiny businesses. Over time, microfinance has come to include a broader range of services (credit, savings, insurance, etc.) as we have come to realize that the poor and the very poor that lack access to traditional formal financial institutions require a variety of financial products. Microcredit came to prominence in the 1980s, although early experiments date back 30 years in Bangladesh, Brazil and a few other countries. 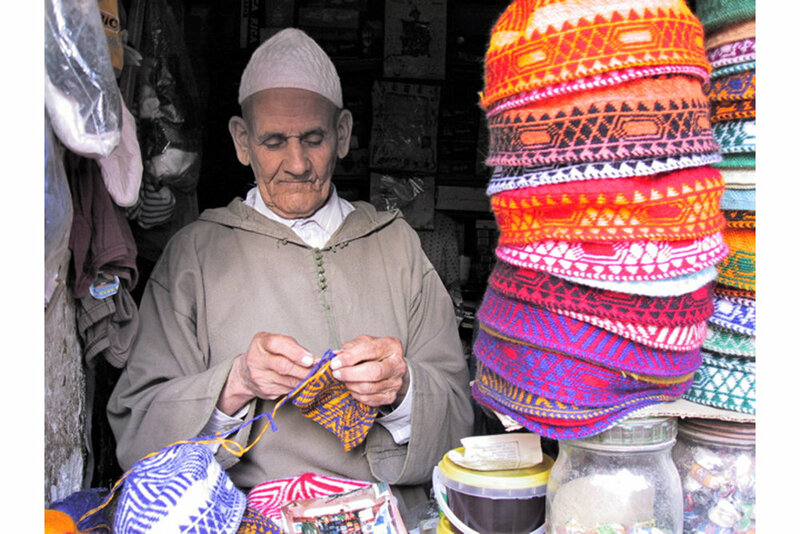 The important difference of microcredit was that it avoided the pitfalls of an earlier generation of targeted development lending, by insisting on repayment, by charging interest rates that could cover the costs of credit delivery, and by focusing on client groups whose alternative source of credit was the informal sector. Emphasis shifted from rapid disbursement of subsidized loans to prop up targeted sectors towards the building up of local, sustainable institutions to serve the poor. Microcredit has largely been a private (non-profit) sector initiative that avoided becoming overtly political, and as a consequence, has outperformed virtually all other forms of development lending. 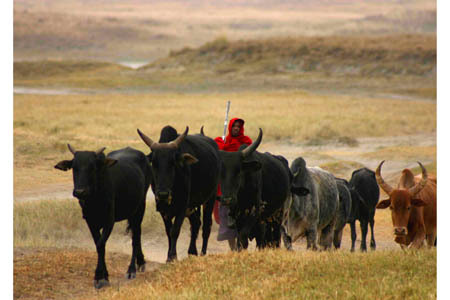 Traditionally, microfinance was focused on providing a very standardized credit product. The poor, just like anyone else, need a diverse range of financial instruments to be able to build assets, stabilize consumption and protect themselves against risks. Thus, we see a broadening of the concept of microfinance--our current challenge is to find efficient and reliable ways of providing a richer menu of microfinance products. 2. 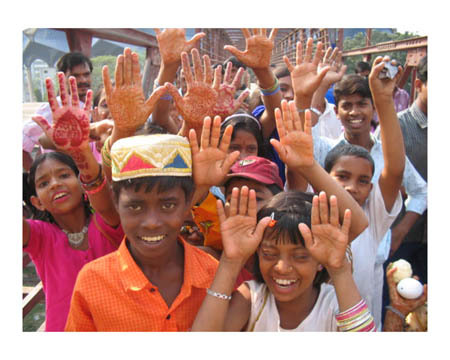 What is the difference between microfinance and microcredit? Microfinance refers to loans, savings, insurance, transfer services and other financial products targeted at low-income clients. Microcredit refers to a small loan to a client made by a bank or other institution. 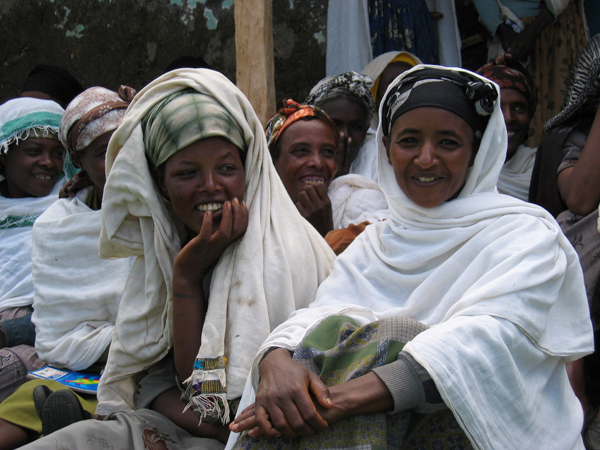 Microcredit can be offered, often without collateral, to an individual or through group lending. 3. Who are the clients of microfinance? 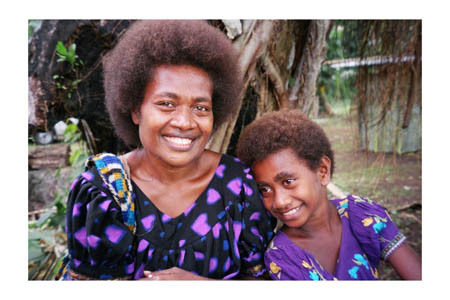 The typical microfinance clients are low-income persons that do not have access to formal financial institutions. 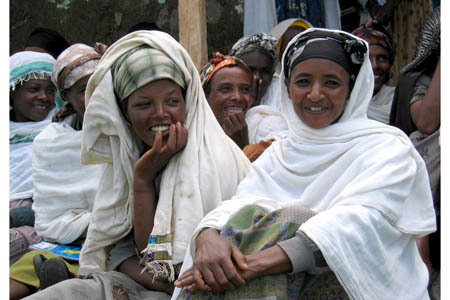 Microfinance clients are typically self-employed, often household-based entrepreneurs. In rural areas, they are usually small farmers and others who are engaged in small income-generating activities such as food processing and petty trade. In urban areas, microfinance activities are more diverse and include shopkeepers, service providers, artisans, street vendors, etc. Microfinance clients are poor and vulnerable non-poor who have a relatively stable source of income. Access to conventional formal financial institutions, for many reasons, is directly related to income: the poorer you are the less likely that you have access. On the other hand, the chances are that, the poorer you are, the more expensive or onerous informal financial arrangements. Moreover, informal arrangements may not suitably meet certain financial service needs or may exclude you anyway. 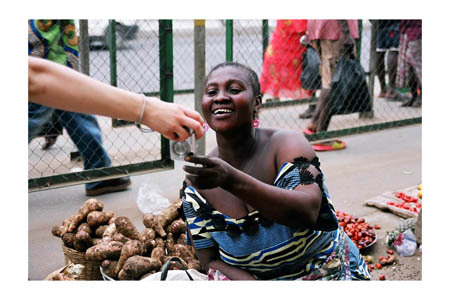 Individuals in this excluded and under-served market segment are the clients of microfinance. As we broaden the notion of the types of services microfinance encompasses, the potential market of microfinance clients also expands. For instance, microcredit might have a far more limited market scope than, say, a more diversified range of financial services which includes various types of savings products, payment and remittance services, and various insurance products. For example, many very poor farmers may not really wish to borrow, but rather, would like a safer place to save the proceeds from their harvest as these are consumed over several months by the requirements of daily living. 4. 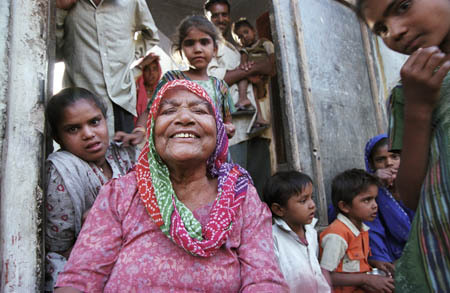 How does microfinance help the poor? Experience shows that microfinance can help the poor to increase income, build viable businesses, and reduce their vulnerability to external shocks. It can also be a powerful instrument for self-empowerment by enabling the poor, especially women, to become economic agents of change. Poverty is multi-dimensional. By providing access to financial services, microfinance plays an important role in the fight against the many aspects of poverty. For instance, income generation from a business helps not only the business activity expand but also contributes to household income and its attendant benefits on food security, children's education, etc. Moreover, for women, who, in many contexts, are secluded from public space, transacting with formal institutions can also build confidence and empowerment. Recent research has revealed the extent to which individuals around the poverty line are vulnerable to shocks such as illness of a wage earner, weather, theft, or other such events. These shocks produce a huge claim on the limited financial resources of the family unit, and, absent effective financial services, can drive a family so much deeper into poverty that it can take years to recover. 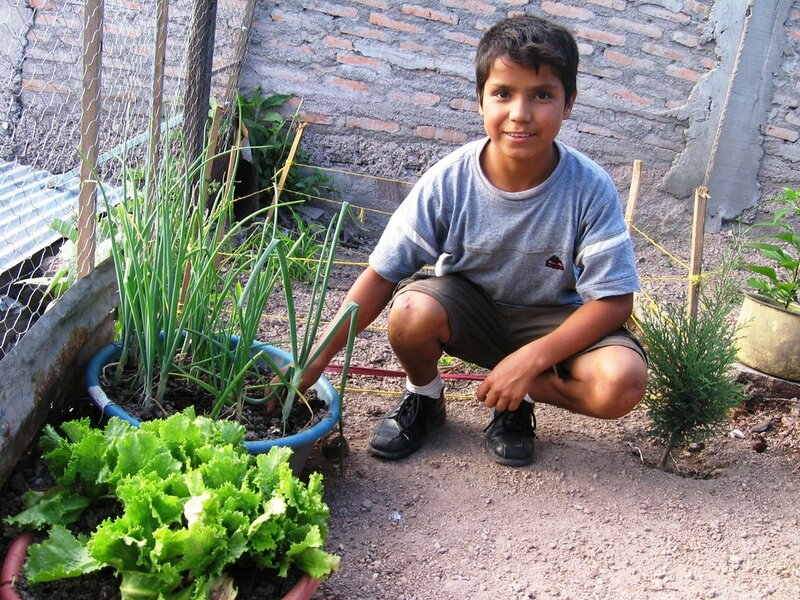 Learn more about microcredit and how it works. With ongoing support and guidance CEED enables entrepreneurs in metropolitan Halifax who may not be eligible for bank loans to start their businesses. CEED also acts as delivery agent for ACOA Seed Capital Loan Program, Canadian Youth Business Foundation and Students-in-Business low interest loan programs. Committed to strengthening social conditions through economic independence and entrepreneurship, the Loan Fund strives to generate income, asset building and greater self-reliance. Programs include: Business loans, employment loans, shelter loans, financial literacy training and business plan training. Focus on growth and effective management, BBI provides financial assistance and business education to businesses owned by members of the Nova Scotia Black Community. These objectives are accomplished through the provision of Loans, Mentorship, Information, Training, Business Counselling, and Business Plan Development. One of few ethical investment funds that encourages investors to invest funds in a socially responsible manner, financing development projects that benefit disadvantaged and marginalized people in the south. Oikocredit finances cooperatives as well as small and medium size businesses with a particular focus on agriculture, trade, services and manufacturing. A network of over 41 autonomous, non-profit organizations that work with all levels of government and private sectors to meet the needs of small businesses. CBDC’s support the creation of small businesses or the expansion and modernization of existing business through programs such as Financial Assistance, Self-Employment Benefits, SEED Capital Program, Women in Business Initiatives, Micro credit and Business Counselling. The Atlantic Council for International Cooperation (ACIC) launched an exciting campaign to engage Atlantic Canadians on issues surrounding the use of images portraying the developing world. The South through the Northern Eye raised awareness about the misperceptions promoted by typical portrayals of the developing world in the media and by the advertising campaigns of international NGOs. It also increased awareness about global poverty, and highlight the linkages that this issue presents between the North and the South. Workshops and panel were held across Atlantic Canada to stimulate discussion, reflection, and action on the use of images depicting the developing world. A photo competition was launched in November and Atlantic Canadians, Atlantic NGOs, and their Southern partners were encouraged to enter their own ethical images of the developing world. Winning entries were awarded great prizes and featured in a photography exhibit that traveled the region in February/March 2006. Through this campaign, ACIC encouraged the media and NGOs to think critically about the images they currently use, to understand the impact that these images have on public perceptions, and to make more ethical choices in their representation of the developing world. We also engaged the public to develop a more critical eye with which to view the images they are presented with and raised their awareness about the complexity of issues facing the developing world. ACIC has published several documents resulting from our research that you can download and study to learn more about the issues surrounding this Ethical Images Campaign. As part of a CIDA-funded consortium of Canadian and Nigerian organizations, ACIC partnered with the Non-Governmental Organization Coalition for Environment (NGOCE), a coalition based out of Calabar, Nigeria. One Sky, a non-governmental organization (NGO) based out of Smithers, BC, brought together 5 Canadian organizations and 5 Nigerian organizations to work on building the capacity of NGOs in Cross River State, Nigeria. ACIC's part in this consortium was to assist with the capacity development of NGOCE. This coalition has been working together to raise environmental awareness in Cross River State, Nigeria, since the mid-90s, but was without the administrative structures appropriate to a membership-based organization. ACIC partnered with NGOCE over three years and shared in the development of guidelines, including membership policies, bylaws, and governance structures; and jointly delivered capacity building workshops. 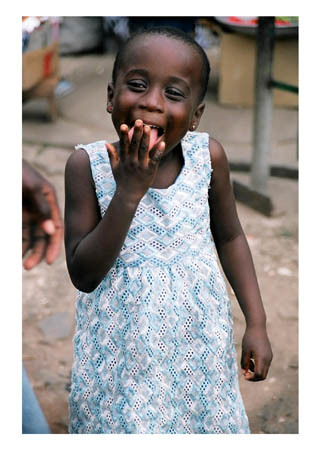 In January 2003 ACIC visited Calabar to meet consortium partners and to begin work with NGOCE. Together, the partners travelled around Cross River State, gaining first-hand knowledge of the projects of the Nigerian partners. ACIC began working with NGOCE to build stakeholder confidence and to determine stakeholder needs. To initiate the project, NGOCE held a workshop for stakeholders to discuss what services NGOCE could provide to members, what members' roles and responsibilities would be, and to put together a team to start working on NGOCE's governance structures. The workshop was attended by over 30 different organizations and received very positive responses. There is strong stakeholder buy-in and NGOCE's future development into a strong coalition is assured with all parties continuing to work together. In May, 2003, Chief Bassey Archibong, NGOCE's Executive Director at the time, travelled to Conception Bay, NFLD to participate in ACIC's Annual General Meeting & Symposium. ACIC had the privilege of having Bassey present a workshop on "Serving the World's Poor, Peacefully"; while in Canada, ACIC's members also had the opportunity to meet with Chief Bassey and hear about the work that NGOCE is doing in Cross River State. 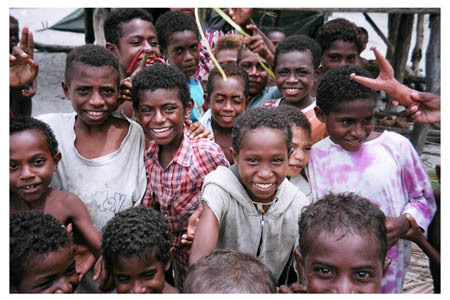 In 2004, ACIC worked with NGOCE on capacity building initiatives. Chief Bassey Archibong, Executive Director of NGOCE and Jennifer Sloot, ED of ACIC put together a workshop on Participatory Monitoring and Evaluation. The five-day workshop was attended by more than 40 people and was met with positive response.. While in Nigeria, Ms. Sloot also delivered a workshop on "Building Capacity to Influence Change: Ecotourism and Policy Development". The workshop brought together a variety of stakeholders from both private and public sectors to discuss ecotourism in Cross River State and how Civil Society Organizations can influence policy development. More than 30 people from the public and private sectors attended this workshop and had the opportunity to learn more about ecotourism and how CSOs from other parts of the world are influencing policy development. In March, Chief Bassey Archibong and Jennifer Sloot designed a workshop on Building Effective Coalitions, which they presented at the CIVICUS World Assembly in Gaborone, Botswana. The Assembly hosted 700 delegates from more than 100 different countries. The workshop was received favourable comments from participants and both Bassey and Jennifer had the opportunity to network with and learn from the many delegates at the Assembly. In a country listed by Transparency International as the most corrupt in the world (in 2000), it is encouraging to see civil society working together and building a network based on mutual support and assistance. Learning new techniques for strengthening ACIC, from organizations in other countries. As part of the Atlantic Council for International Cooperation’s (ACIC) 2002-2005 Strategic Plan’s goal to facilitate education around Culturally and Environmentally Appropriate Travel and Tourism (CEATT), ACIC began a project to engage stakeholders in the Atlantic Canadian travel industry on issues of tourism and international cooperation through a project entitled Travelling Wisely: Engaging Atlantic Canadians About Tourism And International Cooperation Issues. With tourism now the world’s largest industry and eco-tourism growing at a significantly greater rate than general tourism, (estimates vary from an annual growth of 10% to 30% while general tourism is said to grow at 4%), there is great momentum for Atlantic Canadians to shift their focus toward a more ethical way of travelling. Based on the idea that tourism’s future depends on a healthy environment and living culture, ACIC is expanding the concept of CEATT. 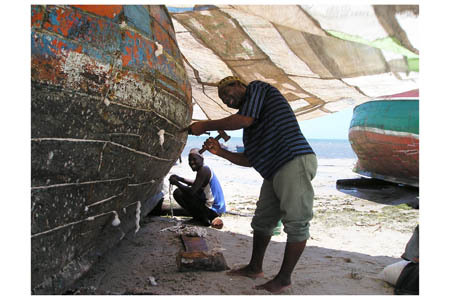 CEATT is sustainable tourism that conserves and protects natural resources, respects cultures, and benefits communities visited. The concept of CEATT provides the frame of reference for approaching tourism in public engagement materials developed by ACIC. The first year of the “Travelling Wisely” project draws on the experiences of member groups of ACIC that are currently working in tourism development in Belize, Costa Rica, Nicaragua, Chile, and the Philippines. ACIC, a coalition of groups in the Atlantic Provinces who work in international cooperation, has developed workshop materials and pamphlets in collaboration with partners from Atlantic Canada including five ACIC member groups and four Atlantic Canadian tourism associations. The Canadian International Development Agency (CIDA) has provided funding for the workshops. Workshop materials, aimed at travel and tourism industry representatives, and pamphlets aimed at the general public, were developed using case studies of ACIC member organisations developing sustainable tourism opportunities with overseas partners and current information on culturally and environmentally sustainable tourism. 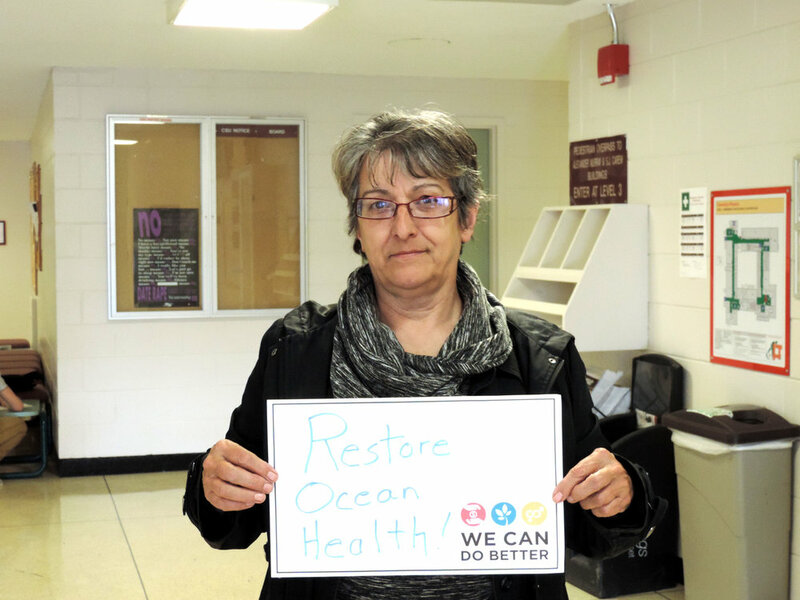 Case studies were written by: CUSO, PEI; Rising Tide Cooperative, NS; YMCA of Fredericton, NB; and Falls Brook Centre, NB. Facilitators for the workshops were trained in Truro, NS, in late February by Ruth Schneider, who developed and wrote the workshop materials. Two facilitators from each partner organization attended the two-day workshop, plus three ACIC representatives. Partner organizations included: Extension Community Development Cooperative, NL; CUSO, PEI; Rising Tide Cooperative, NS; YMCA of Fredericton, NB; and Falls Brook Centre, NB. In March 2003, through the tireless efforts of the project partners, over 180 people participated in workshops and one-on-one interviews in the four Atlantic Provinces. Workshops were given to tourism students, travel and tourism representatives, and the general public. One-on-one interviews were conducted with travel agents and managers of travel agencies. Hundreds of pamphlets were distributed to travel agencies, universities, libraries, and colleges. Comments from tourism students were encouraging, for example this quote from a 4th year student in New Brunswick, “I found their presentation to represent the core values of sustainable development and to offer insight to my future in tourism. I can’t stress enough the value of their presentation and the role it plays in my career decisions.” Facilitators have been asked to give this workshop at future classes, indicating success with professors, too. Participants will be able to use this information to increase tourism opportunities and to assist Atlantic Canadians in choosing vacations that are more sustainable in terms of international cooperation, cultural awareness and ecological integrity. Other significant results include tourism representatives indicating interest in furthering a partnership between ACIC and themselves, and the potential development of a partnership between a travel agency and one of the project partners to help promote and organize the project partner’s overseas tours. Suggestions were made to improve the workshops, including using different types of media, such as a PowerPoint presentation, and including local case studies as well as international ones. A number of suggestions were made for future CEATT projects including: developing and distributing a list of travel agencies and tour operators interested in CEATT; presenting CEATT workshops at regional tourism trade shows; continue to work with tourism students to inform them about sustainable tourism issues; and focus on the general public to help increase consumer demand for sustainable tourism products. In the aftermath of the September 11 terrorist attacks on the United States, the concept of human security has taken on new meaning and relevance as people around the world struggle to make sense of the global situation. On the domestic front there are a number of events and trends that provoke public concern about human security, including new findings about health risks, water safety (as seen with Walkerton, Ontario), job loss, exposure to Genetically Modified Organisms, amongst many others. Rather than limit ourselves to military issues, this film festival looks at a broader scope of human security issues. As the United Nations Development Program states: "Human security is not a concern with weapons-it is a concern with human life and dignity." From June 6th to June 19th, 2002, ACIC took twelve films around the Atlantic Provinces as part of a National Initiative called International Cooperation and Global Human Security. In an effort to extend this film festival to other communities and new audiences, ACIC is pleased to make these films available to organizations and individuals wishing to organize public screenings. Due to distribution agreements, these screenings must be free of charge (although donations may be made to the organizers to help defray the costs of renting a projector and/or venue). For more information on borrowing these films, please contact ACIC at (902) 431-2311. War has a dirty secret: it never really ends. Aftermath weaves archival images and personal stories into a powerful portrait of lingering devastation. The poignant stories convey a sobering message as we face the realization that war doesn't end when the fighting stops. 73min. 37 sec. Here is an animated replay of the human comedy as amusing in its perception as in the way it caricatures humanity's propensity to resort to violence rather than to reason. 7 min. 27 sec. Landmines are the pollution of war. 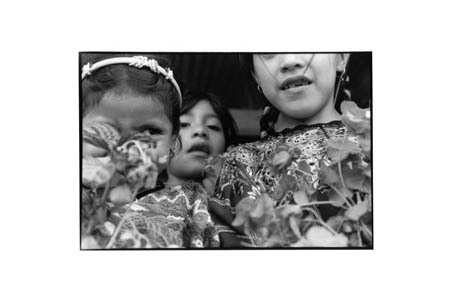 In northern Nicaragua, they are part of daily life. Worldwide thousands who are killed annually, many more are disabled and face an uncertain existence. Falls Brook Centre, based in Knowlesville, New Brunswick is helping to solve this problem: bringing to landmine survivors rehabilitation and employment as solar energy technicians. Between the Earth and the Sun shows how simple, appropriate technologies can bring prosperity while helping to heal the wounds of war. 30 min. 30 sec. This wonderfully wacky animation is a look at two simultaneous conflicts, the macrocosm of global nuclear war and the microcosm of a domestic quarrel, and how each conflict is resolved. Presented with warmth and unexpectedly off-the-wall humor, the film is open to a multitude of interpretations. 10 min. Dangerous Art (CUSO) 2001, Directed by Sean Kelly. A deadly civil war ended in the African nation of Mozambique in 1992, but thousands of guns, grenades and landmines remain, a continuing threat to the hard-won peace. So a group of artists came up with a better use for the weapons – they are turning them into sculptures. 6 min. 50 sec. The Genetic Takeover (NFB) 1999, Directed by Karl Parent and Louise Vandelac. In just a few short years, genetically modified (GM) plants have become part of our daily diet and are already found in 75% of processed foods. This revolution has occurred without consumer awareness and without the knowledge of potential risks to our health and to the environment. Many scientists and farmers vigorously condemn the absence of independent, adequate testing. The Genetic Takeover casts a sober look at a potentially explosive situation. In response to consumer demands, many European and Asian countries have instituted mandatory labelling of GM foods. North America, however, has been slow to react. In their relentless fight for profits, the industrial giants seem willing to ignore basic safety rules. 52 min. 14 sec. A two-year investigation, Hidden Wars of Desert Storm is backed by interviews of such prominent personalities as General Norman Schwarzkopf, former US Attorney General Ramsey Clark, former UN Iraq Program Director Denis Halliday, and former UNSCOM team-leader Scott Ritter. Archival footage, images recently brought back from Iraq, an original soundtrack scored by acclaimed composer Fritz Heede and the narration by two-time British Academy Award-winner, actor John Hurt, all contribute to making "Hidden Wars" a fast-paced, informative documentary. 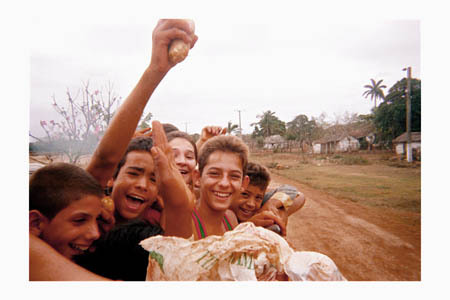 Grand-Prize winner at the 2000 Cine Eco International Film Festival in Seia, Portugal. 64 min. Neighbours (NFB) 1952, Directed by Norman McLaren. This classic animation by Norman McLaren is a plea for non-violence and sharing, which nonetheless does not shrink from depicting the violent consequences of unresolved conflict and greed. 8 min. Something in the Air (NFB) 2001, Directed by Sylvie Dauphinais. Prince Edward Island--a rural paradise and a safe haven from the city. But is this image really a mirage? 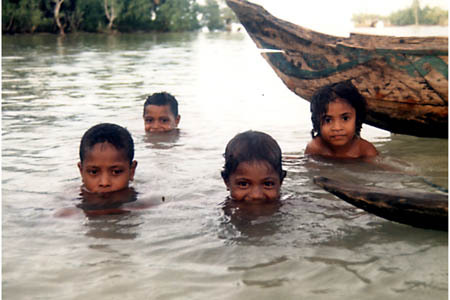 Many of the children on the Island can't catch their breath. PEI has the highest rate of hospital admissions for asthma in Canada, and many affected never leave home without an inhaler. 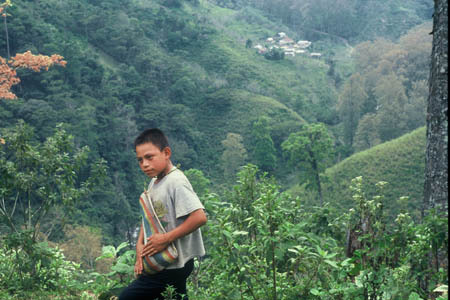 Hanging over the farmers' fields, reaching into every town, is an invisible cloud of extremely dangerous poisons. The last twenty years has seen a 700% increase in the use of these toxins to kill insects that might endanger the potato harvest and the Island's economy. Filmmaker Sylvie Dauphinais discovered that living in paradise comes at a heavy cost: the health of her son. 25 min. 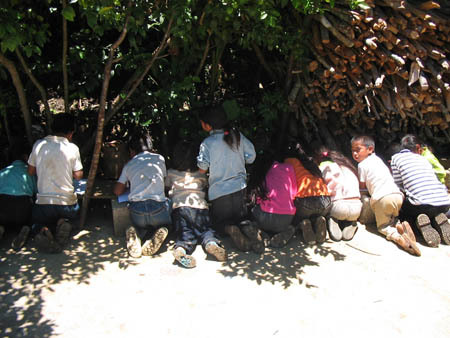 Two-Way Street examines the work of development activist, Juan Tellez. 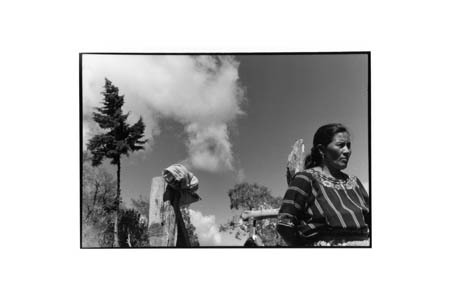 In the 1970’s, he worked with indigenous movements that created social upheaval in Bolivia and produced strong local development laws. 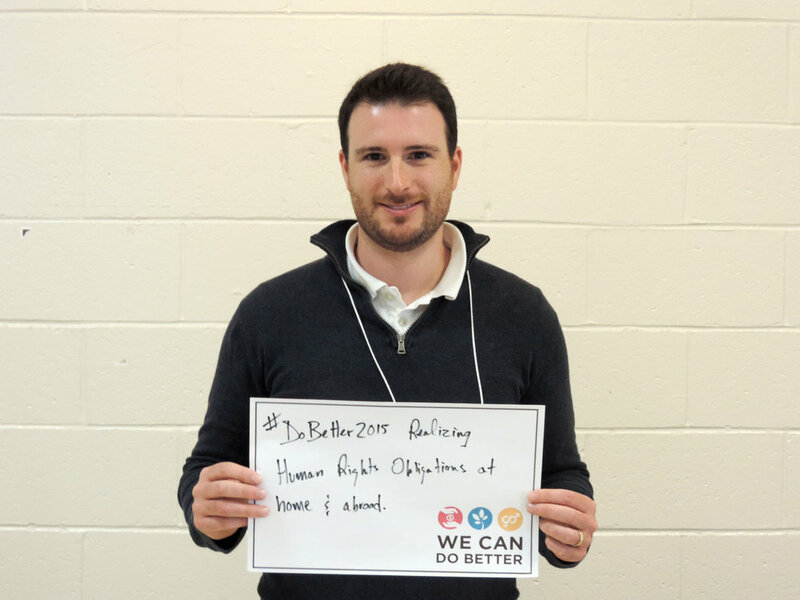 Juan is now using his Bolivan experience to assist communities in Nova Scotia which are suffering from crises in the fishing, farming, coal mining, and other resource industries, bringing an alternative approach: community-based development which allows the community to control its own resources. 50 min. Where Women Are Banned 2001 Directed by Tassia Kobylinska. Three women from Afghanistan tell their haunting stories. Stories show clearly that for these women, there was no option but to flee and seek refuge in another country. In the UK the British media do not welcome asylum seekers with open arms, the words 'bogus' and 'fake' often precede the word refugee. The women in this film unveil a chilling and dark tale, after which nobody could question the validity of their plight. 16 min.